New Schick, new Milik, new Lewandowski ? Still haven't watched Genoa, I dislike them, guess I'll have to check them out for him. I've watched highlights on Sky, I was impressed. He seems to have intuitions and movement typical of a great CF. Juventus have reportedly enquired about Genoa striking sensation Krzysztof Piatek. According to Gazzetta dello Sport, Juve ‘haven’t wasted any time’ to move ahead of Inter, Milan and clubs in England, Spain and Germany for Piatek. However, the newspaper stresses the Bianconeri were only testing waters as it is ‘too early’ to discuss figures, which could exceed €20m. Nonetheless, the relationship between the two clubs is described as ‘excellent’, despite the Old Lady missing out on Pietro Pellegri, who eventually joined Monaco. Genoa only paid €4m for the Pole over the summer, and he has more than covered his transfer fee by scoring 10 goals in his first six games for the Grifone. Best Player In The World ? Did we find our new CF? @rincon wrote: Deadly finishing and movement. Our current CFs are Mandzukic and Kean. There's a 14 year difference between them, we could do with a player close to entering his prime. even his celebration is worthy of a great CF tbf..
Glad to see my countrymen doing well in Serie A. Maybe he is the next Lewandowski. There's also Stępiński playing in Chievo Verona, do you have any opinion of him Robes? Care for an Origi, eh!!! He has the surname of an elite CF, will be watching his career with great interest. @RealGunner wrote: Has he surpassed Milik? We are 6 games into the league, Milik had a similar start to his Napoli career before he got injured. They both need time to know how good they really are. In terms of style Milik is a poacher, Piatek? can't say yet, but seems to be more involved. Of course I am playing on hype, he might be also a One season Wonder , but he seems to have the signs of an elite player. 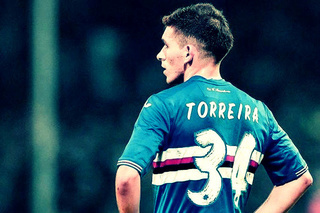 I can feel a difference about him and Milik. Milik is the Polish Giroud, Piatek might be the next Lewandowski. Serie A is the league of Polish players, it is curious this recent "tradition"
Thanks for your input, Robes.